Pandit takeover is setback for U.S. board governance. Separating the roles of chairmen and chief executives is good governance, as a rule. That’s why the practice is standard in the UK and has been gaining ground in the United States. But the logic is undermined by recent events at Citigroup. 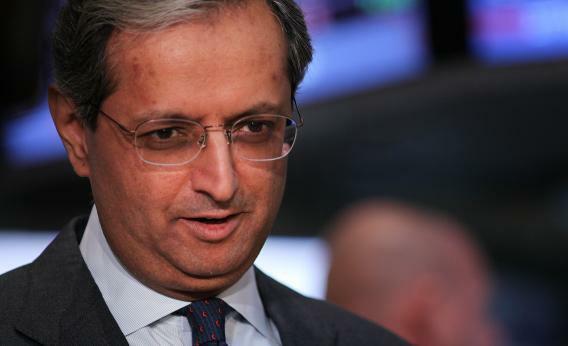 Chairman Mike O’Neill’s ouster of Vikram Pandit as chief executive last week is looking increasingly like a power-grab rather than a service to shareholders. An independent chairman serves useful purposes. He, or occasionally she, can provide air cover for management with regulators, politicians and other external constituents, something O’Neill’s predecessor Richard Parsons did with relative aplomb. The role comes with internal responsibilities, too, such as running board meetings and, when necessary, holding a CEO’s feet to the fire. In extremis, a chairman must show an underperforming boss the door. Pandit’s record of late was mixed. Citi had suffered a few setbacks this year, notably a rebuke from the Federal Reserve over plans to release capital. But the company’s stock had rallied by more than a third, a performance that bested rivals JPMorgan and Wells Fargo. And in the end the ex-CEO’s departure came abruptly, just a day after Citi reported better-than-expected third-quarter earnings. Details reported by the New York Times now suggest that a putsch took place. It seems O’Neill picked off Citi’s directors in Machiavellian fashion, persuading each to support stripping Pandit of his job. The chairman then presented the CEO with a fait accompli, according to the Times: quit now, retire at year’s end, or be fired. O’Neill gave John Havens, a Pandit confidant who ran Citi’s investment bank, a similar message. Now other senior executives at Citi are considering leaving, including some who would be missed by new CEO Michael Corbat and the board. Some people inside the bank think O’Neill acted partly out of frustration that his own hopes of running a major financial institution never came to fruition. If widely held, that belief could damage Corbat’s credibility. There may have been good reasons for regime change at Citi, such as the desire to turn over a new leaf with regulators. But part of a chairman’s job is to manage any succession to ensure the maximum stability and continuity. By that test O’Neill failed. In the process, he has added unfortunate stigma to the useful separation of roles at the top. Read more at Reuters Breakingviews.